Even though I've been previously burned by President Unif-100 noodles, I managed to forgive them for that travesty. After all, it's very difficult to pull off a Shrimp flavor that doesn't taste like aquarium water. Shallot beef flavor, on the other hand, should be a much easier flavor to design. Just add some salt and beef flavoring and you're set. No real surprises with this ramen. It's a little bit spicy to cover the fact that there isn't much flavor there besides salt. 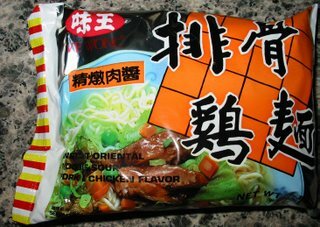 The flavor packets consist of a powder packet, a packet of scallions and cabbage, and a flavored oil packet. Overall, this was a decent soup but I prefer the competitors such as Ve Wong's Peppered Beef Flavor which is rather similar to this one but tastes a little better. 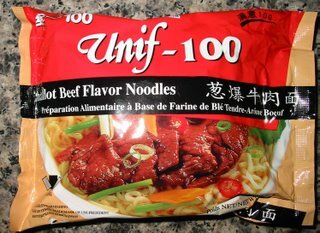 My biggest beef (pun intended) is that the Unif-100 noodles just aren't very tasty. This will be a flaw that will affect them across all their product lines. The packaging of this reminded me very much of the Kimchi Ramen I had a few weeks ago, which was also made by Samyang Foods. I guess you could say they are part of the same family of large Korean instant noodles with relatively basic flavors. 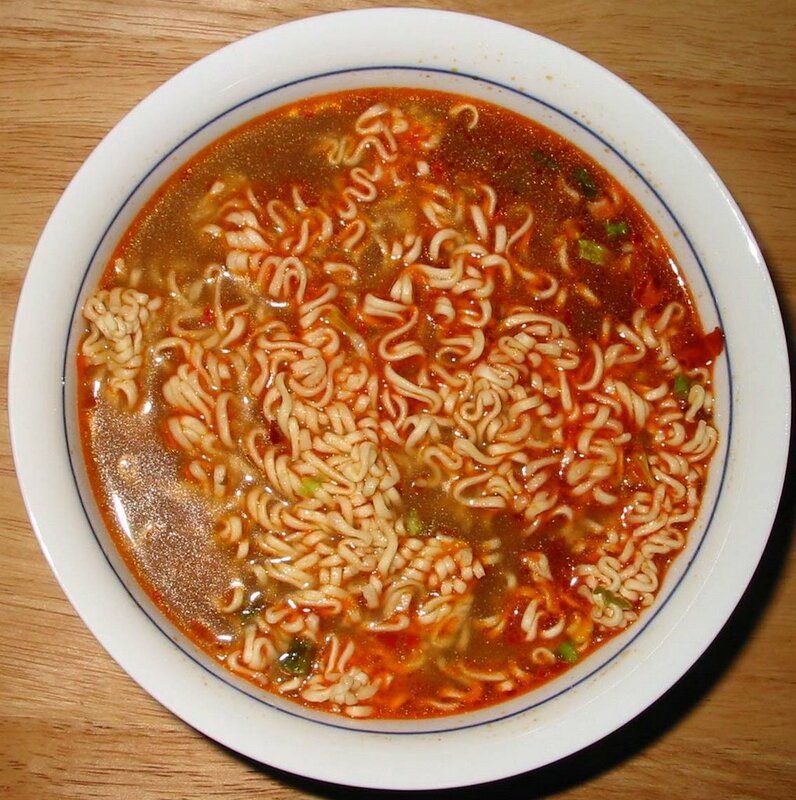 These noodles turned out to be much spicier than I had anticipated. It's not quite up to the heat level of Shin Ramyun, but it definitely has more kick than you might expect from the packaging, which gives no hint that it might be spicy inside. I guess these Korean packages don't need to indicate spiciness, since pretty much all Korean instant noodles are spicy. The exception is the Chajung Myun varieties. 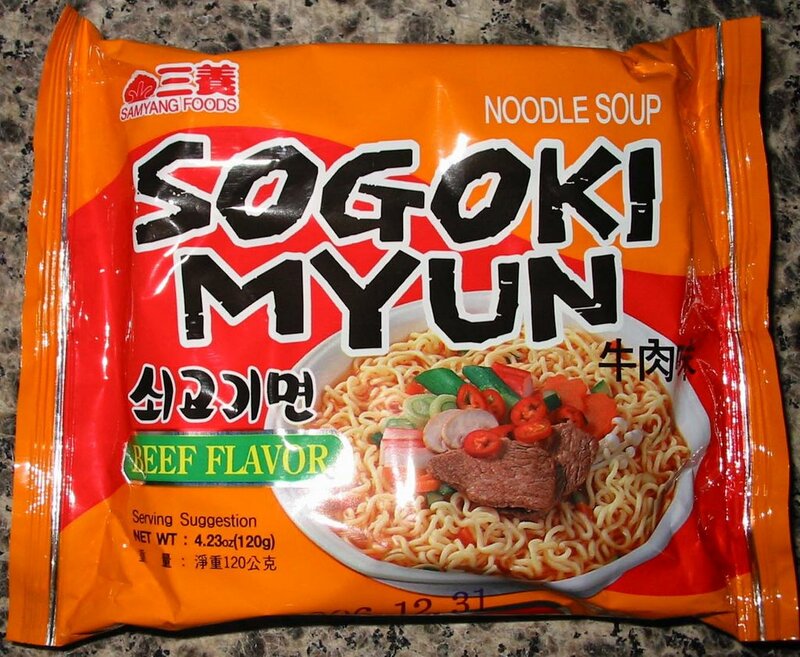 Couldn't really taste any beef flavor because the heat from the broth overwhelmed the taste. Overall, these were decent simple noodles that didn't do very much to distinguish themselves in my mind positively or negatively. I am much more familiar with Ve Wong's Peppered Beef Flavor, but I couldn't resist picking this up when 99 Ranch Market had a Buy One, Get One Free sale. As you might expect, the noodles in this pack are identical to those in the Peppered Beef Flavor. The Ve Wong noodles come with a good quantity of seaweed, cabbage, and carrot which add some nice variety and texture to the noodles. I wonder what genius at Ve Wong decided to combine pork and chicken into the same flavor. Well, it kind of works, in that the soup is very savory and definitely meat-flavored, although the meat's identity is a little bit obscure. 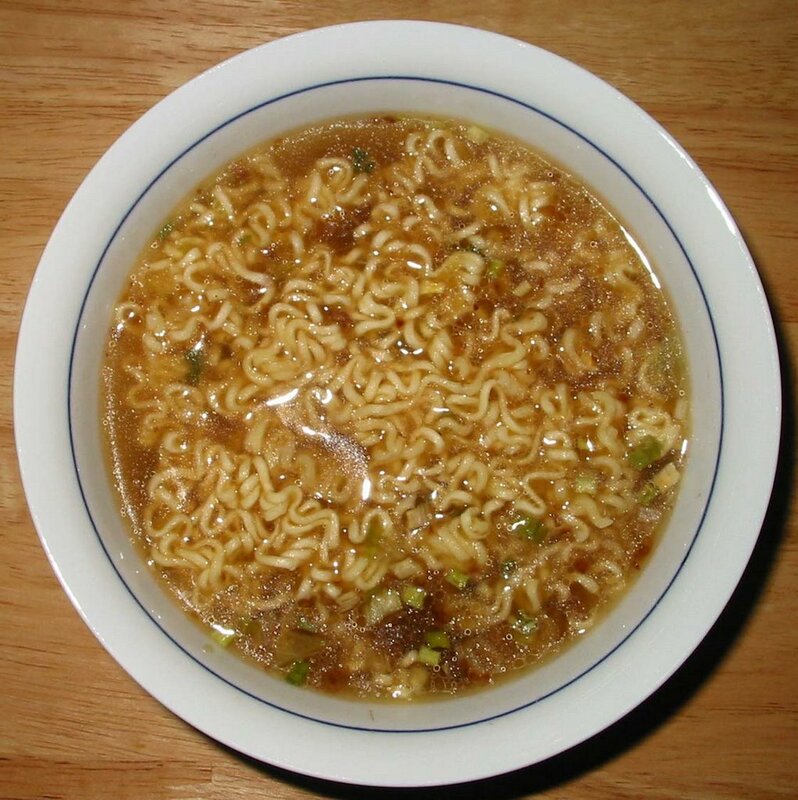 The noodles are pretty tasty and are pretty thin and soft, as is typical of Taiwanese instant noodles. Overall, these noodles are worth a try if you are into a savory meat flavor without any spiciness. These 70g miniscule noodles are so small they would only be suitable for feeding a small child or large pet. 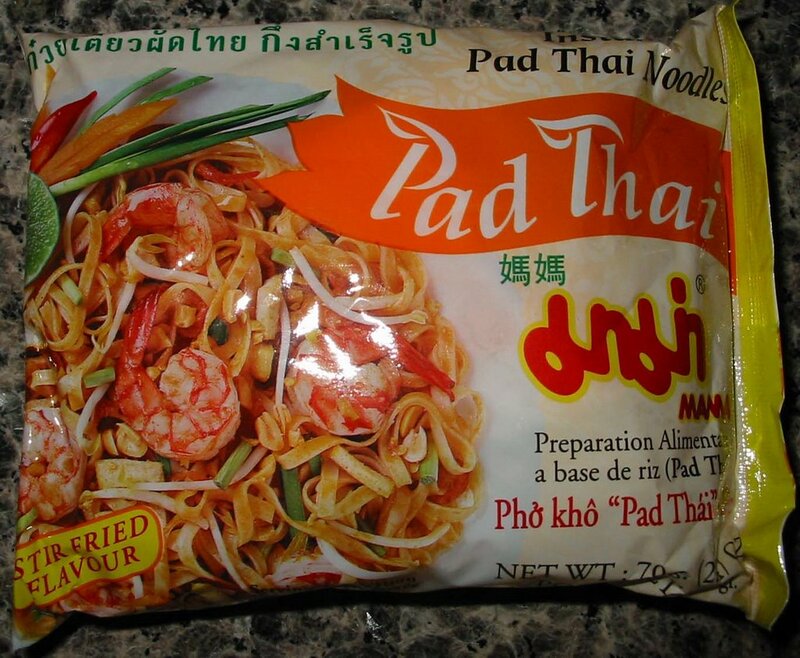 Despite this drawback, I went ahead and tried them, intrigued by the prospect of Pad Thai in a bag. As you might or might not expect, these are imported from Thailand. Mama Pad Thai had a different cooking method than anything I've ever seen before. 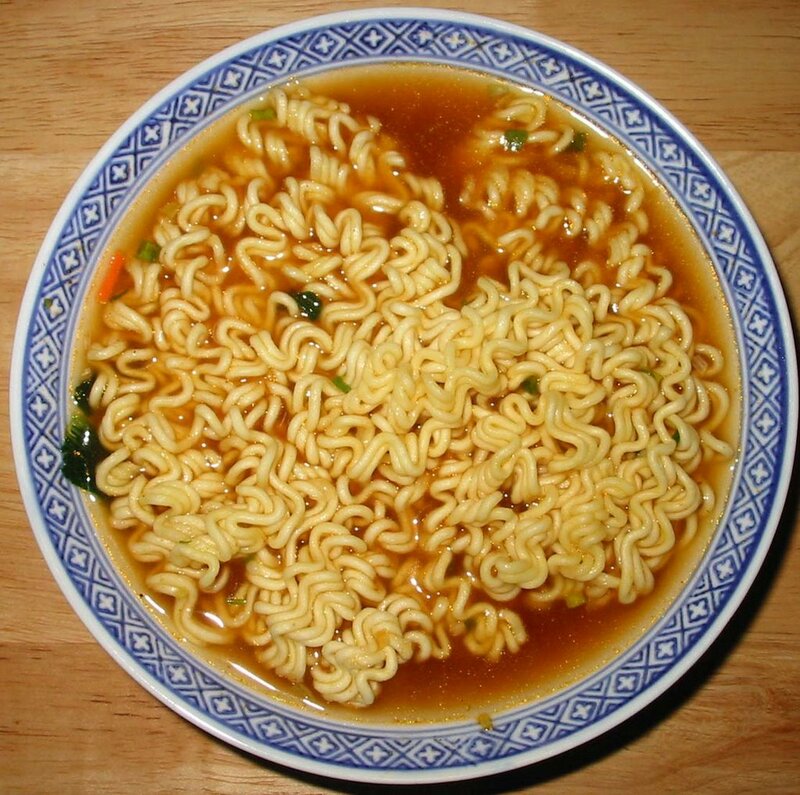 They want you to pour boiling water into the bowl with the noodles and then drain the noodles after 3 minutes and add the spices. In concept it is somewhat similar to Indomie Mi Goreng's cooking method. 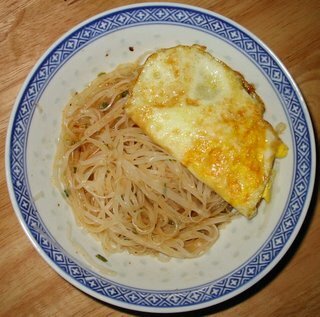 As you can tell from the picture, these are rice noodles rather than the usual wheat noodles found in instant noodles. I added a fried egg since I am not a small child or large pet and require a little more substance to a meal. The taste was quite good! A little bit similar to Mi Goreng, the Mama Pad Thai is very sweet and quite spicy. It was surprisingly sweet, but it also had a good savoriness to the noodles. There is a good taste of shallots if you enjoy that taste. If anything, the flavor was a little bit too strong for the amount of noodles they provided. 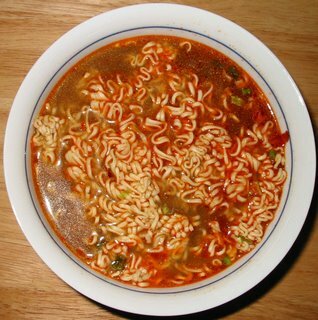 My suggestion would be to increase the amount of noodles and tone down on the sweetness a little bit.